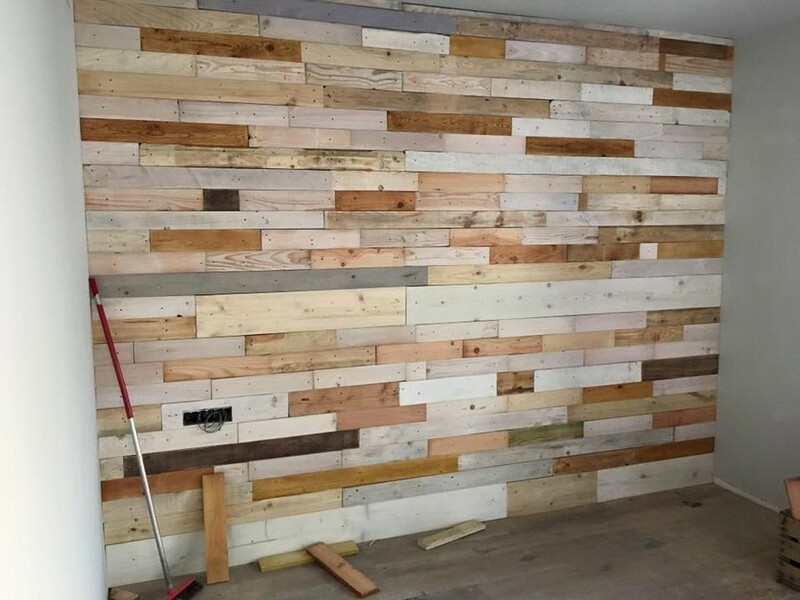 Wood pallet wall cladding or paneling whatever you name is one of the best things that could be done with the shipping pallets. The timber obtained from the shipping pallets is such a rich source that almost all the creations could be made with it that are usually made with the wood. This time we are going to do something different other than making the wooden furniture articles. 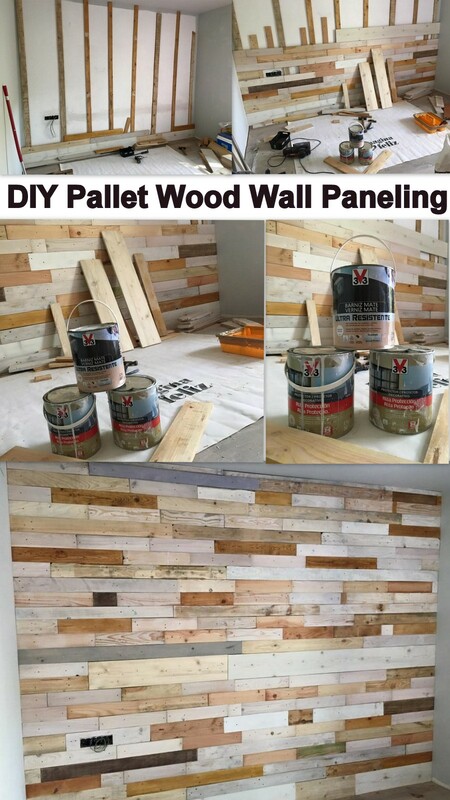 We are going to demonstrate the wood pallet wall paneling here where brief directions would also be given. This would be massively useful for the ones who are really beginners and want to do more with their skills. The very first step that we always do before starting the wood pallet project, we sort out some good and high quality shipping pallets. Then comes the segment of dismantling which could be a headache if you are not equipped with some advanced tools. 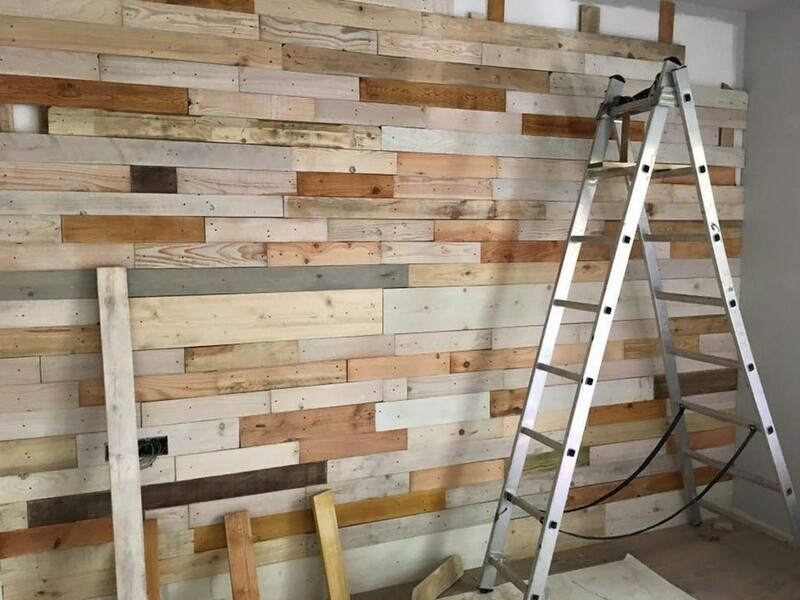 We normally recommend the most advanced pry bars and automated dismantling machines, so once when you are done with the dismantling, make some larger wooden pallet panels that are meant to be erected along the wall length wise as you guys can see here in the demonstration. 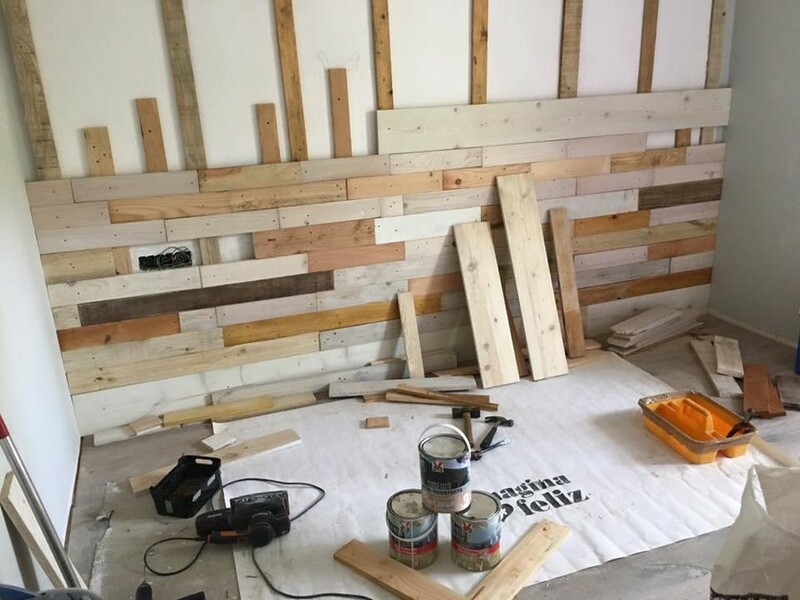 Once these panels are erected or pasted and nailed along the wall, we have actually created a raw base on which we are going to fix the differently sized pallet wood planks each one by one. We have divided the wall in three different portions and each one of it is separated with a relatively wider plank. 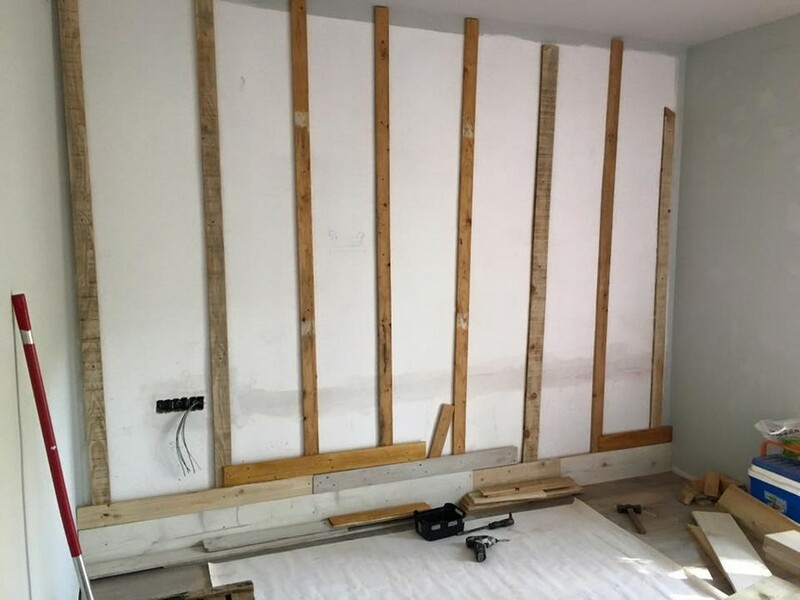 Another thing that must not be ignored is the method that you use for the wall paneling like this could be done with the nailing method and also with some fine and high quality adhesives. But if both are combined together the paneling would be having a longer life. 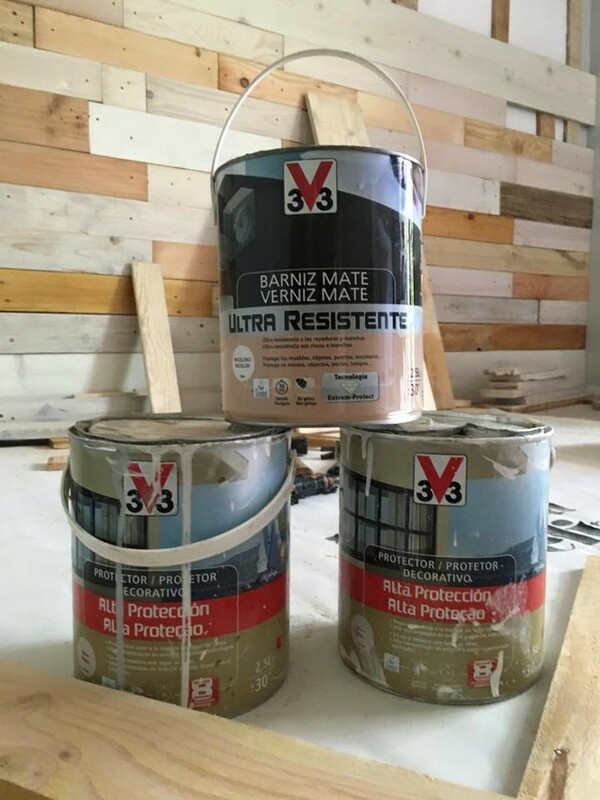 We don’t recommend any specific brand in this regard, you can easily find a good one from any hardware store that could be relatively a bit expensive but you must not compromise on the quality of the adhesive that you are actually going to use for it. Fix each pallet wooden plank individually maintaining a certain sequence or else your whole project would be in shambles. Be very accurate and specific when it comes to the measurements and cutting, stay safe while cutting the planks and you must use the protective measures. To cover up the higher layers you would need a high ladder so make sure you have arranged for that. And instead of manual nailing we would recommend a nail gun that would be far easy to deal with and would make the job even easier. 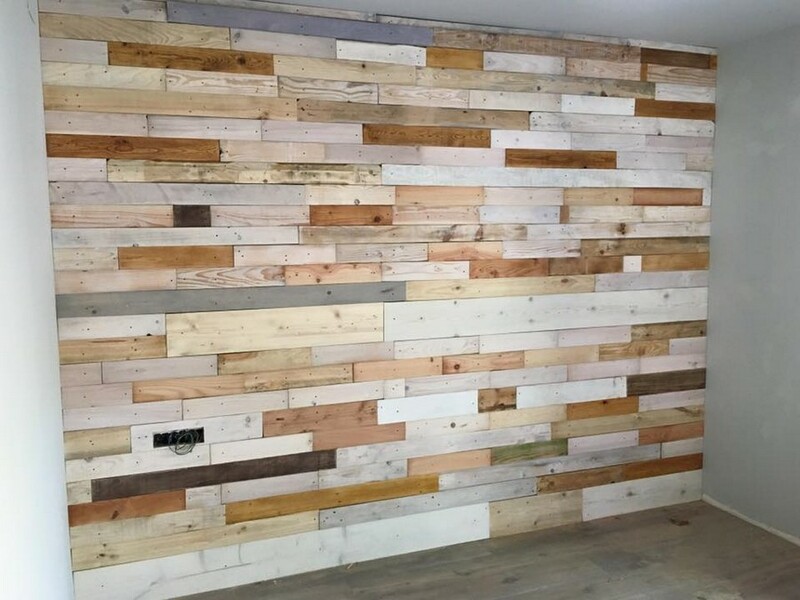 And don’t worry about the differently shaded pallet wood planks, they would escalate the beauty of this accent wall naturally. 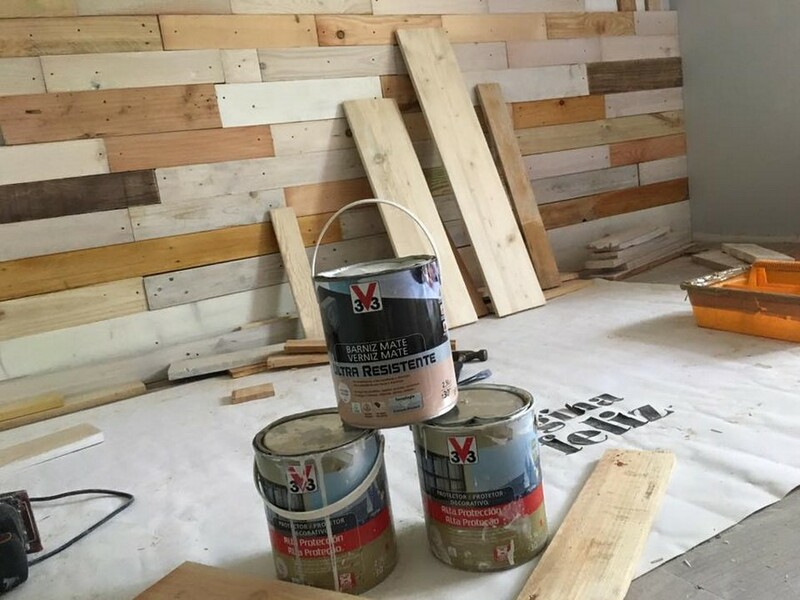 Once you are done with the paneling, do some finishing on it like do a minor sanding and finally shower some wood shiner to make it look even nicer and prettier. Your final paneling would look something like this.